Not just sweets, but savory foods too. 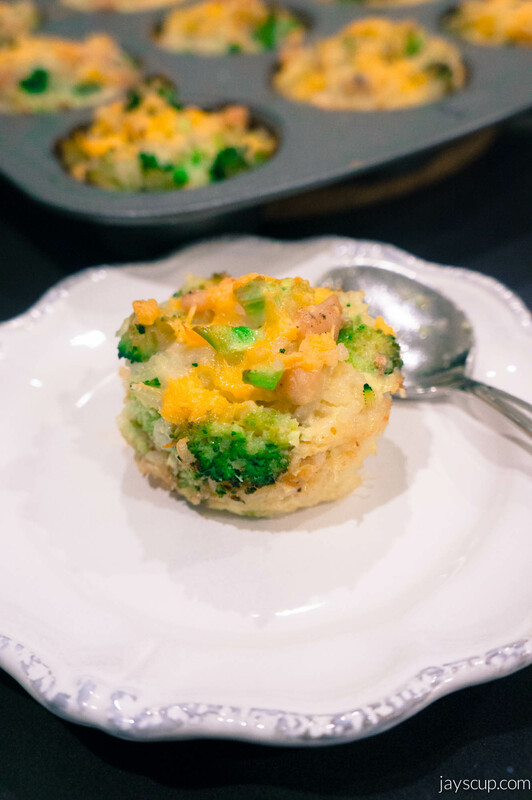 I absolutely love making things in muffin pans. So easy to take on the go and to give away as treats too. It’s my new favorite thing to do! 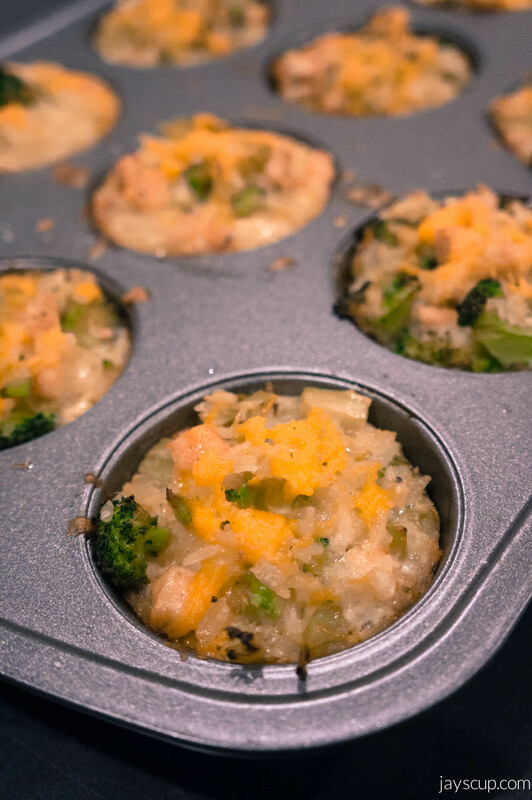 I recently made some baked broccoli & chicken rice cups (with lots and lots of cheese) that I must share with you! Scrumptious little things! It’s really the perfect recipe because I always have leftover rice in the fridge. I seem to always make too much of a starch since it expands. I make too much pasta. I mash too many potatoes. I cook too much rice. I could feed a family of 10! In my case, MG and I have leftovers for a week. Oops! Does that happen to you too? What’s a good trick/tip to measuring the right amount? Anyway, back to these little cups! It’s a really simple recipe (5-steps), and I promise you’ll eat more than one! 2. Cut the broccoli crown into smaller than bite-size pieces, then cook the broccoli either by steaming or boiling. I like to do a quick boil (3-5 minutes tops). Drain the broccoli and set aside. 3. Mix together all the ingredients, but only half the cheese. 4. 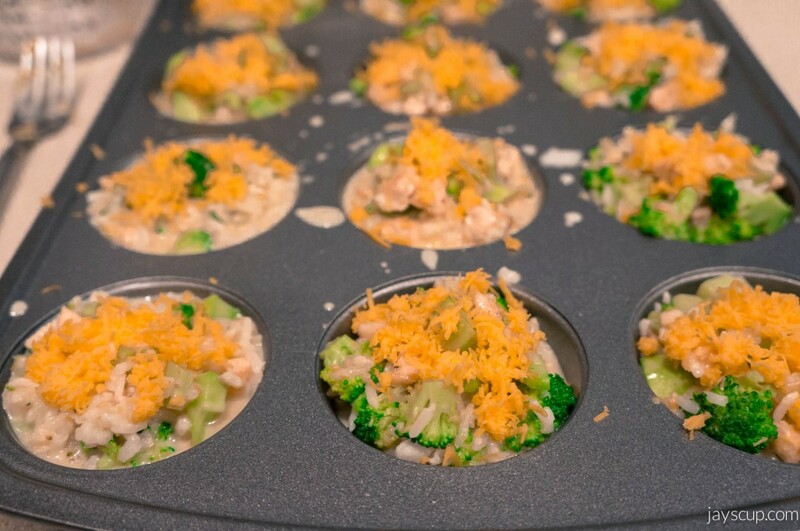 Fill each of the muffin pans with the mixture, and sprinkle the remaining cheese on top. 5. Put the pan into the oven for 25-30 minutes, until the tops are golden brown and crisp. Once the cups are ready, scoop each out and serve! Eat away! Is this something you can do? 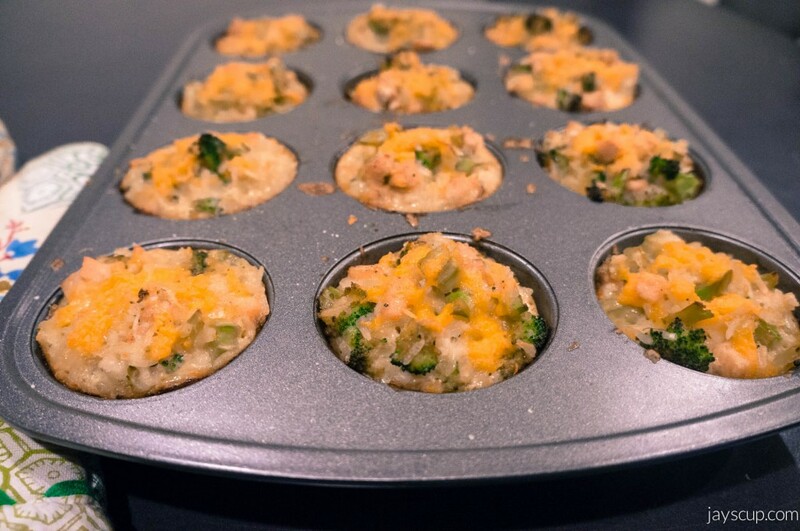 What are some other recipes that you’ve come across/made in a muffin pan? 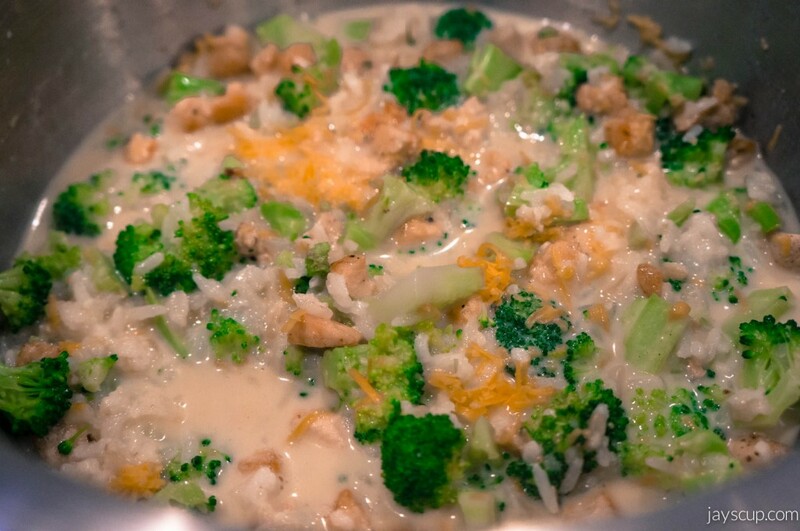 This entry was posted in Food & Recipes and tagged baked, broccoli, cheddar, cheese, chicken, food, muffin, recipes, rice. Bookmark the permalink. Yay! I’m so glad you tried out the recipe and liked it! I love hearing things like that 🙂 Thanks for making my day Sarah! I always have leftover chicken and am coming up with new ways to use it. Actually… I always have leftover rice, veggies, potatoes… and the list goes on. Maybe I should have a family of 10 so that my serving size is actually accurate!